Storage systems can provide back-up power to homes or businesses. Solar energy storage systems can cut peak-demand charges. Energy storage can be used in addition to generators to provide peak capacity to the grid. There are several ways solar power energy storage can be set up to support your home or business. We are familiar with most of the solutions currently available in the market and can explain the pros and cons of each. Ask one of our Solar Advisors to help you decide which options best meet your needs. Batteries store power from your solar system or the grid when electrical rates are low—and can provide power to your home or the grid when rates are high. As the difference between low and high utility rates increases, this can become an attractive solution. However, a grid-tied battery system does not necessarily work if the grid goes down. 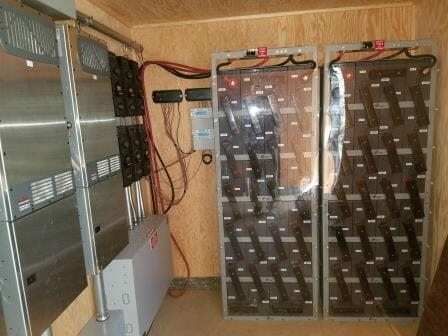 A battery back-up system can enable your solar system to provide power to your home when the grid goes down. This can be a very attractive feature after a major earthquake or other disasters that bring the grid down for extended periods. An off-grid solar system is quite complex—requiring a solar system, battery storage system and generator to all work together. Sizing an off-grid system also requires in-depth knowledge of the system design factors and the trade-offs between performance and cost. Our Solar Advisor can educate you on the realities of going off-grid. Many customers want to add battery back-up systems to their solar systems. However, this can be expensive. The most cost-effective way to have back-up power when the grid goes down is by adding a generator. 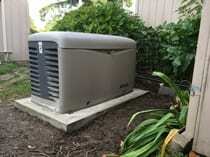 We can size and install a generator to go with your solar system. We can also make sure your solar system is designed so that it won’t damage the generator—something most contractors do not know to take into consideration. If you drive an electric vehicle, we can install an electric vehicle (EV) charging station that ties into your solar system. Ask for details. Providing solar energy storage systems, grid tied batteries, battery back-up systems, off-grid solar, generators and charging stations for Sonoma County, Napa County and Marin County, including Santa Rosa, Sonoma, Petaluma, Rohnert Park, Windsor, Cotati, Healdsburg, Cloverdale, Geyserville, Napa, Calistoga, St Helena, Marin, San Rafael, Tiburon, Novato and others.